Windows are one of the most important features of any building. Too few and the residents are consigned to eternal gloominess, and no amount of interior design genius will save them; too many, or too badly placed, and a home can seem like a clinical corporate building with no privacy and no warmth. Practicalities aside, architects can – and usually do – have lots of fun with window design. In the following images, windows are used in various ways to add personality, life and, of course, light to a range of different types of houses. 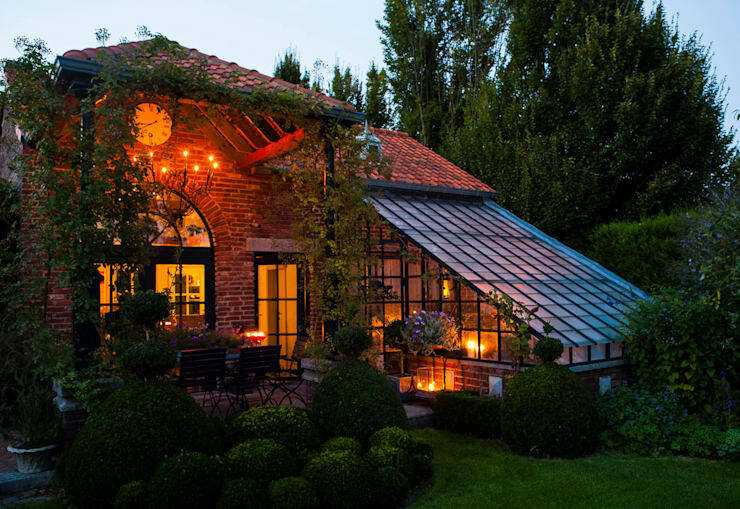 As these pictures demonstrate, innovative use of windows isn’t something that’s limited to ultra-contemporary architectural styles, by any means; even if your house is built in a classical style, there are many ways to use glass to add something new and exciting. At first glance it seems evident that the pattern of these rectangular windows privileges style over the fundamental role of a window, i.e. to allow light into a building. 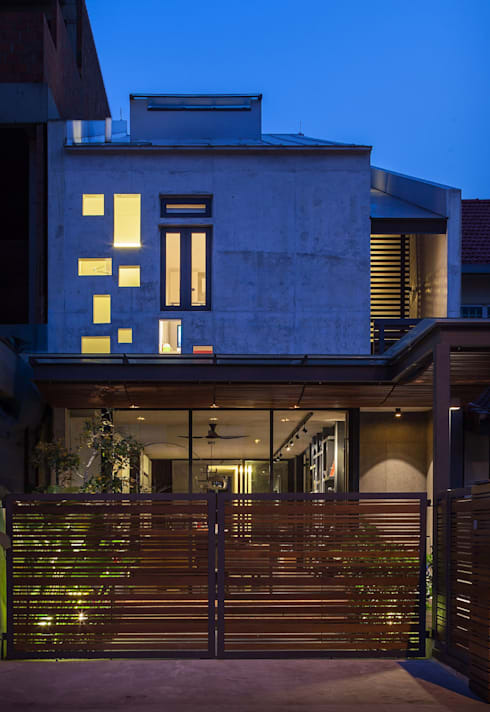 However, there are clearly other light sources in this house (for example, the glass door on the right) and the windows look so cool that it’s absolutely understandable why the architect made this choice instead of utilising the full space available for glass. The artistic placement of the rectangles of light makes the building slightly resemble a geometric work of art by the likes of Mondrian. Despite that retro vibe, this house is unquestionably modern. And in addition to all of that, these windows also do a brilliant job of preserving privacy – particularly important on the street-facing side of the house. This incredible home, with its flourishing shrubbery and ivy, is a hidden retreat where humans seem to have tamed nature. The architect has made abundant use of windows in ways that appear hyper-contemporary, particularly in the conservatory area. The sloping roof, which appears a continuation of the roof of the house proper, shows a much more holistic and organic approach to design than is typically found in more old-fashioned homes. And yet the house retains its vintage feel, in part thanks to the beautiful and classical arched design of the French doors. This home is a magical enough sight seen from outside at dusk, but we bet that during the day, and seen from within, it is absolutely flooded with glorious daylight. It's safe to say that shiny red car is one of this particular home owner's finest assets, and the house has been designed to show it off to great effect. No-one said windows had to be for exterior walls only. Here the architect has made liberal use of interior windows to create a multi-level viewing experience where what’s on display is… well, the house itself. 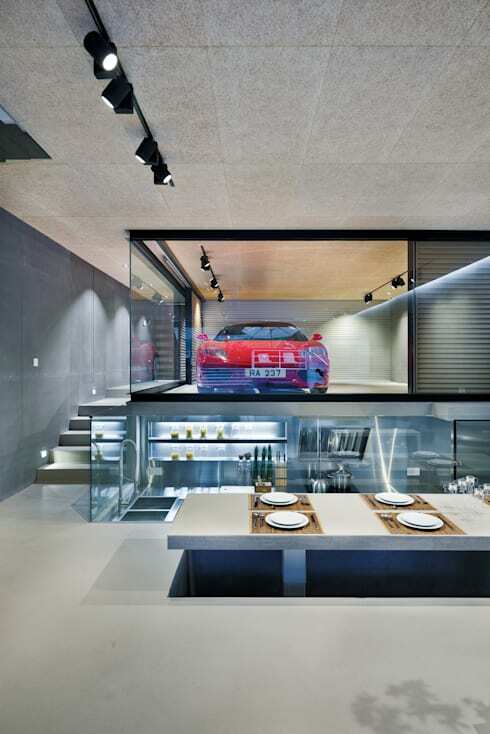 Beneath the transparent garage is the kitchen, and both can be clearly seen from the dining area. Plenty for your dinner guests to look at. Want to see more of this unique home? Take a look at Millimeter Interior Design's profile. There are so many different things to love about this imposing countryside home. Its dramatic quality makes it seem likely that this has been the site of many a real-life tale of romantic intrigue, and perhaps even a murder mystery or two. But speculations aside, there are some very definite reasons this is a stand out piece of design – not least the wonderful variety of windows. 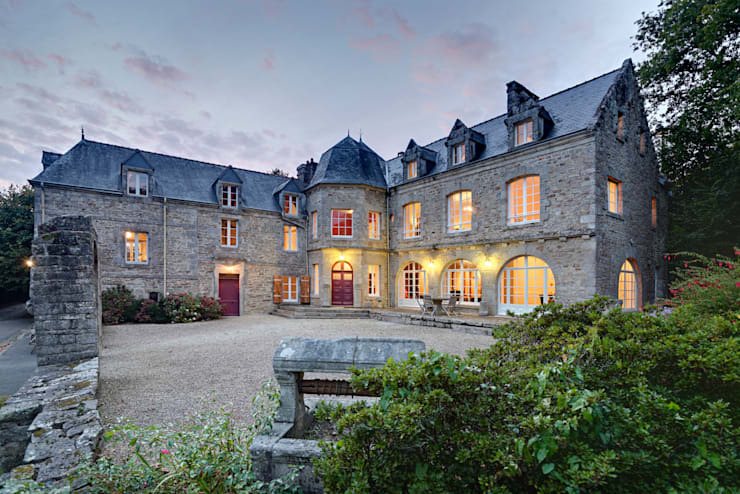 The most impressive are, of course, the sets of round French doors on the ground floor. Their contrast with the rectangular windows above and the copious amounts of light they allow in make these doors truly gorgeous features. 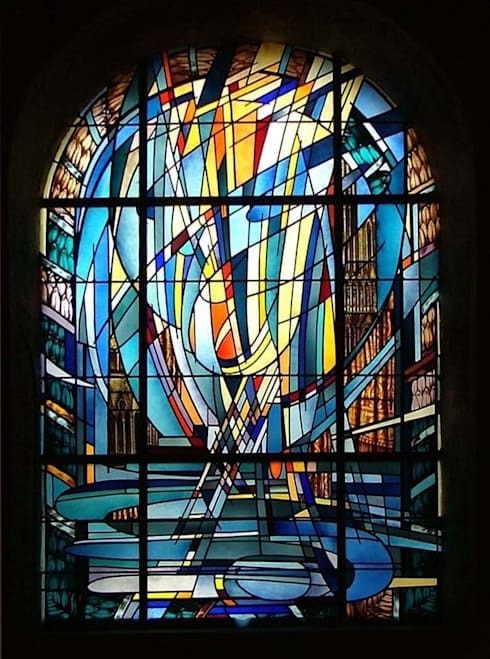 The stained glass panel must be one of the very oldest favourites of all in fact, when it comes to window design. In this wonderful piece, the designer has taken the colour palette normally associated with stained glass in churches and cathedrals and reworked it into something totally new and contemporary. Perfection. How important are windows in helping you decide whether you buy/rent a property? Would you live in a home with small windows?